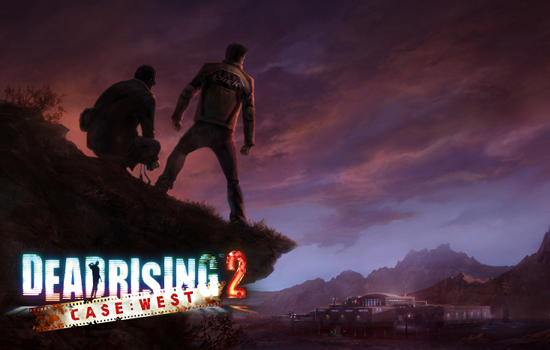 Dead Rising 2: Case West is unlike other DLC, and follows the path of Case Zero as a stand-alone bit of content that doesn’t require Dead Rising 2 to play. Unlike Case Zero though, you’re given a co-op buddy - and not just in the form of another Chuck Greene as the case from Dead Rising 2 is. This time you get your photographer persona playable as Frank West, complete with “Faaaantastic” quotes from our favorite war journalist. The story for Case West goes that Chuck still doesn’t have the necessary evidence to clear his name of the Fortune City incident. You may recall he was blamed for the outbreak in Fortune City that took the majority of the casino goers to their bumbling, zombie filled graves. We discover by the end of Dead Rising 2 that the pharmaceutical company responsible for the drug to keep zombieism at bay (Zombrex) is responsible for the outbreak and framing Chuck. Who better to uncover a corporate mystery than a journalist? Right on time, Frank West enters the game. He’s following an anonymous source to the Phenotrans facility where he hopes to uncover some dark secrets about the corporate entity. He’s also willing to help Chuck clear his name along the way. From the end of Dead Rising Frank also has a special interest in finding a cure for zombieism. You see, he was infected after such heavy exposure to the zombies at the Willimette mall. Case West is looking to tie up a few loose ends from both stories - or does it?